2 Who are the Endocrinologists? Searching for a thyroid doctor can be confusing, but knowing what to look for helps narrow the field. 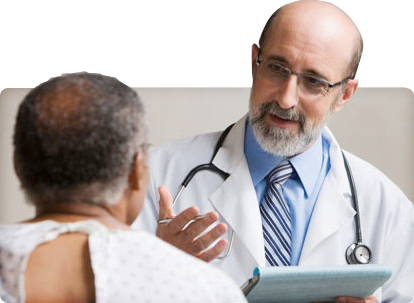 When you are looking for the top thyroid doctors, you should be looking for an endocrinologist or thyroidologist. These are the doctor's that specifically treat thyroid conditions. Unfortunately, the way the medical system is set up, you can't usually just call up an endocrinologist and make an appointment. You need to be referred by your general physician. That is where a lot of the problems start, and many people experiencing thyroid disease find themselves having to defend their symptoms or fight test results to prove they need the help of a specialist. What many people don't know is that they can bypass their general practitioner, and get a recommendation from the Thyroid Foundation of America. It can be confusing when looking for doctors. All the initials are gibberish to most people. When you are looking for a specialist in endocrinology, you want a doctor with F.A.C.E after their name. Remembering that acronym is pretty easy, and it stands for Fellow, American College of Endocrinology. There is also a more holistic approach to thyroid disease within the medical community. You can choose to look for an osteopathic physician (D.O.). To get a referral to an osteopathic doctor you can talk to the American Osteopathic Association. Dr. Marcey Shapiro, Wholistic family medicine in Albany, California. Dr. Shapiro uses acupuncture and herbal treatment as well as standard prescription thyroid medicines. Dr. Ken Brantley, MD, Ph.D., PA, Endocrinology & Metabolism, Amarillo, TX. Gets to the root of a thyroid problem, and does not rely solely on standard thyroid blood tests for diagnosis. Dr. Kevin Wand, D.O, Bloomington, Minnesota, holistic medicine specialist who deals with chronic fatigue, thyroid, and metabolic disorders. Dr. Robbins, Boca Raton, Fl who practices a functional approach to his patient's diagnosis and care. Dr. Jonathan Singer D.O., Cheyenne, Wyoming uses standard thyroid tests along with a complete and sympathetic regard for patient symptoms to diagnose thyroid disease. Dr. Shezhad Basaria, F.A.C.E. at Johns Hopkins Bayview Medical Center in Baltimore, MD. One of the top specialists in the country, Dr. Basaria is compassionate and caring. Dr. Michael Manakas, D.O., in Chesterton and Valparaiso, Indiana, deals with the holistic treatment of hypothyroidism and hyperthyroidism and takes the time needed so his patients have a thorough understanding of their treatment. Of course, the U.S. has no patent on great thyroid doctors. You can find top thyroid doctors in every nation around the world. The UK has doctors such as Dr. Scott at Heatherwood Hospital in Ascot, and Dr. N. Finer an endocrinologist at Luton Dunstable Hospital in Luton. South Africa has notable doctors such as Dr. Grant Phillips at Westville Hospital Medical Centre and Dr. Fraser Pirie, an endocrinologist in Durban South Africa. Brazil has Dr. Dina Kaufman in Sao Paulo. No matter where you are, there are top thyroid doctors. The above listings are just a small sampling of doctors that are tops in the field of thyroid disease. While you may not get an appointment with one of the above doctors, you can find listings of doctors in your area that specialize in thyroid treatments from the Thyroid Foundation of America. What is more important than finding one particular doctor, is finding the right one for you. "I read it online." Doctors have a real problem with patients self-diagnosing their symptoms from information they have gathered online. While the internet provides a great deal of important information that can help you understand your condition, it can also be confusing, and doctors tend to discount patient self-diagnosis. A better way to discuss the findings you have discovered online is to relate factual information such as studies you've read about, or things other doctors are doing to treat hypothyroidism both conventionally and unconventionally, as well as tests they've used, or symptoms that belie "normal" test results. "I'm not taking any drugs." That is the pat answer to "What other medications are you taking," especially if you really aren't taking any prescription medications. However, it is very important to let your thyroid doctors know everything that is going on with you, and what you might be taking even if it is just a multi-vitamin. Any herbal remedies you have tried, or are taking, medications (both prescription and over-the-counter) for problems even if they aren't related to your thyroid problems. Some medications and herbs can interfere with proper thyroid function, and the top thyroid doctors can often solve a problem simply by eliminating another one. "I can't lose weight." This is the fastest way to find yourself facing the return statement, "you need to exercise more," or "follow a proper diet plan." Of course, neither of these prescriptions will help anyone suffering from hypothyroidism, but weight gain/difficulty in losing weight should not be your only symptom, and it shouldn't be the first thing out of your mouth. Make sure you give your thyroid doctor a complete list of all of the symptoms you are experiencing, even if the problem of weight loss is your major focus. An endocrinologist is probably going to be your first choice in top thyroid doctors when you are looking for a purely medical approach to treatment. Endocrinologists treat diseases associated with the hormone systems in the body. The thyroid is a major player in the body's hormone production. A thyroidologist is more specific. They specialize only in thyroid function and disease and are often surgeons who can perform the delicate thyroid surgery needed to remove tumors or nodules on the thyroid gland that can cause hypothyroidism. A doctor of osteopathy is a more all-around physician who is trained to take the patient's whole health into consideration when making a diagnosis. In many ways, those who find traditional thyroid testing incomplete or inaccurate to diagnose their thyroid problems will have a more positive outcome from a doctor who isn't focused on a single type of test to diagnose a thyroid condition. Thyroid problems can cause you to gain weight. Thyroid problems can cause sexual dysfunction and infertility problems. A pregnant woman should be aware of their thyroid stability, and have tests before pregnancy, during pregnancy and after the birth of their child. High cholesterol can be a symptom of an underlying thyroid condition. Fluoride is bad for people with existing hypothyroidism. Soy is bad for people with existing hypothyroidism. There are other tests for thyroid conditions besides TSH including testing for autoimmune thyroid antibodies. Tests results for the standard thyroid test "TSH" are not necessarily standardized and each doctor may read the results differently. Once you have narrowed down your choices near you, it is important to make the best choice for you. Even the best thyroid doctors may not be a perfect fit for you or your personality. Make an initial consultation appointment. During this meeting, you should seek information from the doctor regarding his philosophy of treating hypothyroidism. This isn't an examination or testing. Don't expect, or even request blood tests at this time. As the doctor how he evaluates possible thyroid problems. See if you feel comfortable with the way the doctor talks to you. Do they talk "down" to you, speaks in a language that is easy to understand and most of all mesh with your idea of what types of treatments and diagnosis are appropriate. Do make sure you discuss the symptoms you are experiencing and see if the thyroid doctor you are considering takes them seriously. You aren't looking for a diagnosis in this session. You are just looking for a doctor that takes you seriously. Your tests are fine, there's no reason to suspect a thyroid problem. You're just getting older, these things are normal. You're not really having any symptoms. If your doctor discounts your feelings or symptoms, it is time to run away quickly. Any indication that your doctor isn't paying attention to what you are telling them is inexcusable. You know your body, and you know what you are feeling and experiencing. Thyroid doctors know that t4 and t3 tests are not always accurate.